Stay in Style where budget hotels accommodation is at its finest! BONDO TRAVELLERS HOTEL and Hotels, Relax in our clean rooms, friendly atmosphere, comfortable, safe students hotel accommodation and cheap budget hotel purpose-built in a quiet location, warm, personable hospitality. Our hotel and hotel was designed with hoteliers in mind and offers, economical eco- friendly accommodations to all travellers from around the world. Standard Rooms also comes with. -Male, Female and co-ed rooms are available. Save Money! Book hotel in bondo with No Booking Fee. To make your travel as hassle - free as possible, we provide different options for you to book your hotel and hotel accommodation in Bondo. Since we are sometimes fully booked during peak periods, we however recommend that you book in advance to avoid disappointment. Bookings can be made up to six months in advance. 1: Book online at info@bondotravellershostel.com and pay with your credit card. Your booking will be confirmed immediately and you will be charged for your whole stay upfront. 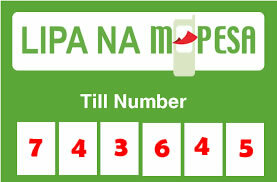 2: Contact the hotel directly by phone or email and pay by Mpesa, cheque, send cash as advised or deposit direct to our bank account as advised. 3: If you are already at the hotel and hotel, ask our friendly front office staff to book your accommodation for you the nights required. Enjoy a relaxing stay at BONDO TRAVELLERS HOTEL and Hotel. Please complete the inquiry form provided at the right side of the page and we’ll get back to you shortly. We will respond to any email inquiries as soon as possible, however bookings are not confirmed until 50% Advance payments are received. Special conditions, rates and cancellation policies apply. Groups of over 10 pax have 30 day cancellation policy. Children under 15 years are not permitted in shared dorms unless accompanied by sponsor or guardian. Call our friendly reception staff on +254 715794082.